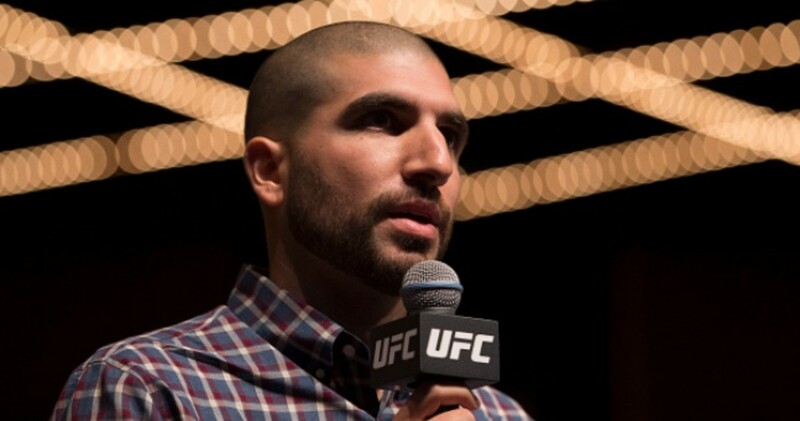 On Thursday, ESPN officially announced that MMA journalist and insider Ariel Helwani will be joining the company in June. - He will host "Ariel Helwani's MMA Show", an ongoing podcast. The frequency and length of the show wasn't disclosed. - Along with Chael Sonnen, he will co-host "Ariel & The Bad Guy", a weekly 30-minute digital show for the ESPN+ platform that will also include some pre and post shows for events. This was specifically highlighted in the news release which indicates their commitment to it. - He will be a reporter for MMA across ESPN's TV and digital platforms. Recently, the UFC announced a deal with ESPN+ to air 15 shows on the upstart OTT network. Helwani has clashed with UFC president Dana White in the past, especially during the days when Helwani was working for UFC broadcast partner Fox Sports. Issues arose over time that resulted in the two sides parting ways, the circumstances of which Helwani discussed on his 'MMA Hour' show. White had Helwani removed from the Showtime broadcast team for the Floyd Mayweather vs. Conor McGregor build-up, so how this relationship will work going forward will be something to watch. For MMA Fighting, this leaves a big gap in coverage as Helwani gave the company four hours every Monday of interviews on 'The MMA Hour', his preview and post-fight shows for select events, anchoring 'The MMA Beat' and more. While they still have depth, losing someone of Helwani's reach and stature will hurt in the short term as things get settled out.